Laurence Meynell must be the most prolific writer Wolverhampton has ever produced. Although best known for his crime fiction, he also wrote many books for children, a good deal of biography and several other non-fiction works. Laurence Walter Meynell was born in Wolverhampton in 1899. He lived with his family in Eagle House, Eagle Street, Penn Fields. His father was the Chairman of Meynell and Sons Ltd. and a Trustee of the Eye Infirmary. Laurence went to school at St. Edmund's, Ware. His nephew, Hugh Meynell, recalls the family story that, when a young man, Lawrence was keen on the sporting life and would cycle all the way to Ackleton, to the house of his friend Charles Hickman (of the Tarmac family). There he would play five sets of tennis, enjoy whatever other activities were on offer, and then cycle back again. Indeed it seems as if his early life was like an archetype of young people in the early twentieth century. But he differed in two respects: he served in the First World War, in the Honourable Artillery Company, and survived; and he had a Bohemian twist to his life style. He did not join the family firm but wandered around, trying out jobs in teaching, advertising and estate agency. He then gave that up and wandered all round England and Wales, on foot. Then he started wandering round Europe, where he seems to have found a direction. In Paris he produced his first novel, "Mockbeggar", which won the Harrap Fiction Prize. Not surprisingly - all first novels are said to be at least partly autobiographical - it poked fun at the the "bright young things". This established the course of the rest of his career, that of professional writer. His first marriage was in 1932 to Shirley Darbyshire, who was also a writer. They had a daughter, Anne, who later married John Langley. Shirley died of cancer. His second marriage was to the actress Joan Belfrage, who had previously been married to Bruce Belfrage, an actor who found fame as a war time news reader with the BBC. Meynell lived at Great Missenden, Bucks, until his retirement, when he moved to Brighton. During the Second World War he served throughout with the RAF and was mentioned in despatches. He died in Brighton on the 14th April 1989, just before his 90th birthday. Hugh Meynell remembers that at his uncle's funeral his friend, the actor Peter Barkworth, read a poem by Thomas Hardy, as Laurence had requested. 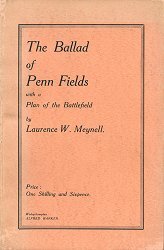 The first published work of Laurence Meynell that has been found is a privately printed slim volume entitled: The Ballad of Penn Fields with a Plan of the Battlefield. As it undated the suggestion that it is his first work (other perhaps than the usual juvenilia in school magazines) stems from the fact that, as it is set in and around Wolverhampton, it was probably written before he had left the area. The work is cast in the form of an epic poem telling of a battle involving lords and knights, with such names as Compton, Tettenhall and Bushbury. The outcome of the battle is not clear. It is clearly an allegory of some sort, but of what sort is not yet determined. It may be about Wolverhampton Borough Council's expansion plans in the 1920s - about which at least one other epic poem was written - or it may be about something more personal. Meynell is not known to have published any other poetry but this one definitely shows poetic talent, as well as wit and good humour. When Meynell started writing in earnest his output was prolific and must have amounted to at least two books a year. He is, perhaps, best remembered for his detective, crime, thriller and mystery novels, of which he seems to have written at least 60. The earliest noted is "Bluefeather", published in 1928. After that he went on, producing at least two books every year (except in the war years) up until the mid-1980s. The titles are very much what one would expect of these genres, full of mystery and foreboding: "The Bright Face of Danger", "The Frightened Man", "Give me the Knife", "Shadow in the Sun", "The Fatal Flaw", "The Secret of the Pit", and so on. Several of his books in this genre had private eye, Hooky Hefferman, as hero. At least six of these books were turned into films between 1933 and 1961. Of these films, which were all British productions, perhaps the one with most claim to distinction is The Crown versus Stevens, which was directed by Michael Powell. It was based on Meynell's novel, Third Time Unlucky. Numerous though these novels were, he found time for writing non-fiction too. He wrote about cricket and researched and wrote the history of a number of rugby clubs. He also wrote biographies and it may relate to his family background that these are mainly about engineers. He was the editor of the Men of the Counties series, of which he wrote two. He also wrote for children, many of his books having a strong instructional element in them. But even that was not his limit. He wrote at least two topographical books, one on "Bedfordshire", Robert Hale, 1950 and another on "Exmoor", Robert Hale, 1963. And he was a contributor to Whitbread Craftsmen, Whitbread & Co., 1948. Also in his list of works is "Bessie Scudd: fifty years of a woman’s life", Robert Hale, 1968, which may be a biography or fictional biography. 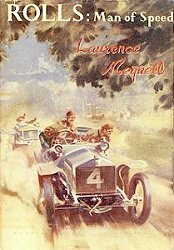 Lawrence Meynell also wrote under at least four pseudonyms. Under the name of Valerie Baxter he wrote "Jane: Young Author", Bodley Head, 1958; and "Elizabeth: Young Policewoman", Bodley Head, 1955. He wrote many more children's books under the name of A. Stephen Tring. These include "The Old Gang", Oxford Children's Library, 1958 and, with Eric Leyland, "Stories for Boys", Hamlyn, 1975. A series of novels about Barry was probably aimed at boys: "Barry's Exciting Year, John Goodchild", 1983; "Barry's Great Day", John Goodchild, 1984; "Barry gets his Wish", OUP, 1952. And a series of novels about Penny, including, of course, "Penny Dreadul", John Goodchild, 1983, seems to have been directed at girls. The series also included "Penny Penitent", OUP, 1956; "Penny Puzzled", John Goodchild, 1983; "Penny Triumphant", OUP, 1961; and "Penny Says Goodbye". John Goodchild, 1984. (Note: the John Goodchild editions cited here may be reprints). Some of his works were written under the pseudonym Robert Eton, including "Palace Pier", Nicholson and Watson; "The Dividing Air", Hemap, 1935; "The Journey", Wells Gardner, 1944; "St. Lynn's Advertiser", Nicholson and Watson, 1947; "The Legacy", Albatross, 1947. A further pseudonym was Geoffrey Ludlow. Under this name he wrote humorous novels, very much in the style of P. G. Wodehouse, with whom the critics of the time favourably compared him. These novels include "Inside Out! or Mad as a Hatter", Harraps, 1934; and "Women Had to Do It", Nicholson and Watson, 1936, a story of a man with a magic ring which made him irresistible to women. The Times obituary said of him that everything he wrote was pleasant, literate and civilised and that "he left on all who knew him the impression of an easy-going, generous personality". I knew Laurence Meynell when he was my neighbour in the 1950s. He lived at 'Waller's Oak' in Coleshill, Buckinghamshire, with his first wife Ruth and daughter Anne, the previous home of the poet and politician Edmund Waller. I did small jobs for Mr Meynell, as he was to me then, in his garden when I was a 10 year old boy. I remember Ruth Meynell (Shirley Darbyshire) very well. She was always friendly and kind to me, and I was very sad when she died of cancer. I particularly remember the funeral courtege passing by my school window in the village. Laurence used my father's surname (Maurice Weller) for a character in one of his thrillers, calling him Colonel Weller. He described him walking down Magpie Lane, which to this day is a lane in the village of Coleshill; in the 1950s it lead to the Magpie's public house, now renamed the 'Mulberry Bush'. His daughter Anne was a great friend of mine; she and I rode ponies together as children around the fields and woods of Coleshill; it was Anne who taught me to ride. Laurence and Anne left Coleshill after Ruth died and went to live in 'High Firs' in Hyde End near Great Missenden. Sadly I lost touch with Anne and her Father after they left Coleshill. 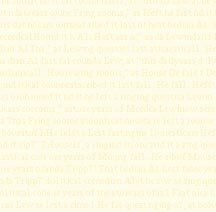 I contacted Anne by seeing Laurence's name in 'Who's Who' when he lived in Brighton. I wrote to him and he gave me Anne's address when, I think, she was living in Suffolk. Anne and I met briefly at the Bucks County Agricultural Show in Aylesbury in the 1970s. My mother was a housekeeper to Laurence Meynell and Joan Belfrage at 6 Chester Street, Belgravia, London, when I was 9 years old (1953). 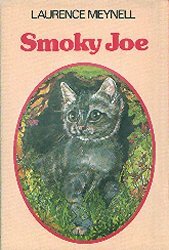 He was a delightful man, and gave me the Smokey Joe books for Birthdays and Christmas. I can remember him so well, he was an utter gentleman, and treated me as if I were a child of his own. I loved him. I can't remember when he'd married Joan, but my mother was her housekeeper when Joan was Joan Belfrage, so I knew Bruce well too. Mr. Meynell used to come and visit them when they lived in Tylers Green in Buckinghamshire, in a house called "Folly Meadow". I am grateful to Hugh Meynell MBE, for information about his uncle's life. All further information, biographical or bibliographical, which anyone can supply would be happily received.